The move by the major UK bank, a current member of the world’s top 20, signals a change in position from the global finance elite which have, up to now, shunned cryptocurrencies and called for regulation. In February, Lloyds Banks told the firm’s nine million credit card customers that any attempts to buy cryptocurrencies will be blocked, following the lead of US banking giants JP Morgan Chase & Co and Citigroup. Mainstream banks have long maintained that stopping people from using credit to buy bitcoin and the larger family of cryptocurrencies will calm the current volatility in the cryptocurrency market. 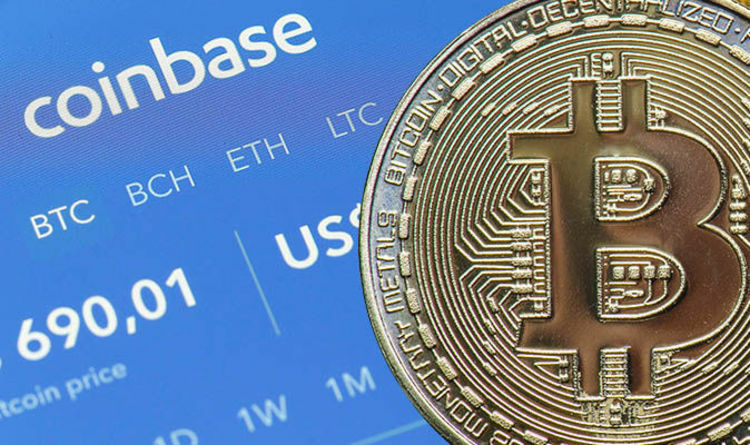 The surprising, first-of-its-kind deal will simplify the process of deposits and withdrawals for Coinbase’s UK customers, who have previously had their transactions processed through an Estonian bank. Coinbase has championed the deal in a blogpost, claiming that the process of topping up and withdrawing money has now been massively simplified. Zeeshan Feroz, UK CEO at Coinbase, said: ”We believe that this is an important step towards our commitment to making cryptocurrency accessible to everyone. Mr Feroz says that the relationship will start with institutional users and then be rolled out to all UK customers. The problem for UK wallet holders has been that while accounts can be easily topped up in pounds, but withdrawing money involves a long process, converting the money into euros then back into pounds, leaving some users stung with exchange rate charges. There have also been cases where UK users - during rabid periods of volatility - have lost over $1,000 in the space of time between requesting the money, and the money hitting their account. Coinbase is attempting to iron out these issues and has identified the UK as Europe’s Cryptocurrency capital. Mr Feroz said that the EU’s cryptocurrencies grew "twice as fast as any of our other markets in 2017" and the UK is its largest market in the bloc. Last year Coinbase said that the company plans to grow its London team by roughly eight times by the end of 2018. Barclays has declined to comment on the deal. Commenting on the announcement that the FCA has granted cryptocurrency exchange Coinbase an e-money licence, Bradley Rice, senior regulation lawyer at law firm Ashurst, told Express.co.uk that this is another huge step for the democratisation of cryptocurrencies. He said: "It will make it easier for Coinbase's customers in Europe to move money on and off the exchange, with the comfort of knowing that such transactions are subject to more stringent legal requirements around financial crime and the segregation of customer's money, which can only be good news."